Thanks, Steve Angello ... For My New $5 Million Crib!!! 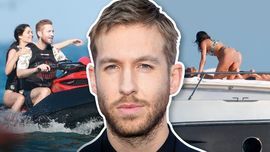 Calvin Harris Finally Over Taylor Swift? ‘America’s Next Top Model’ Contestant Is Claiming She Got 86'd All Because She Dated Calvin Harris!